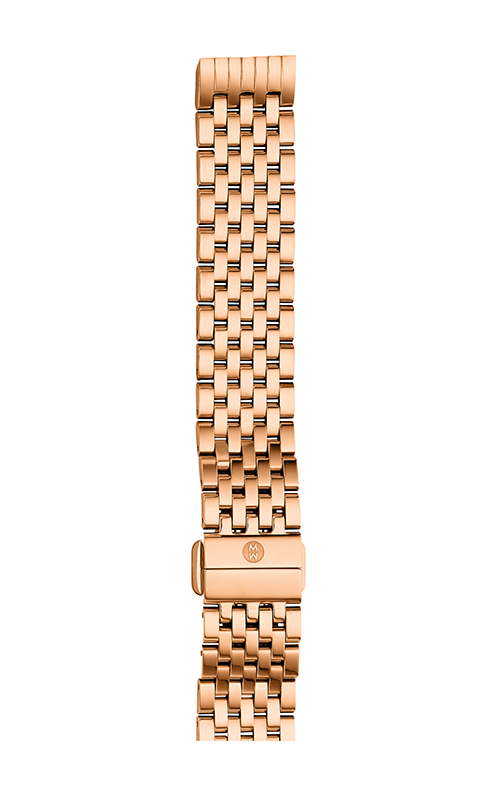 Give your watch a new look with this rose gold MICHELE bracelet. 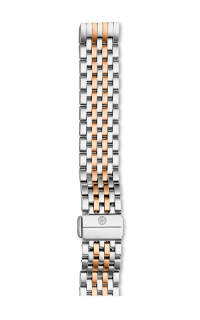 Polished rose gold links create a classic 7-link bracelet that is easily interchangeable with our Deco II Mid-Size watch heads. The bracelet butterly deployant clasp has the signature logo engraving.